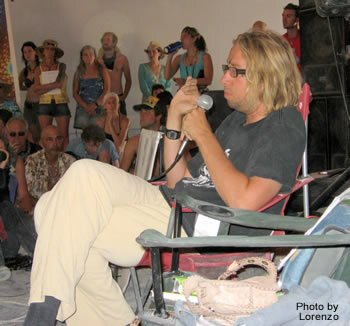 Posted in Burning Man, Daniel Pinchbeck, Eschaton, Future, Palenque Norte and tagged Burning Man, Daniel Pinchback, Eschaton, Future, Palenque Norte. I loved listening to this talk. At around 59 minutes in, Daniel is speaking about a possible financial collapse. I think he was spot on now that we can see what happened two years later. It is interesting to encounter this material ten years after the original presentation.